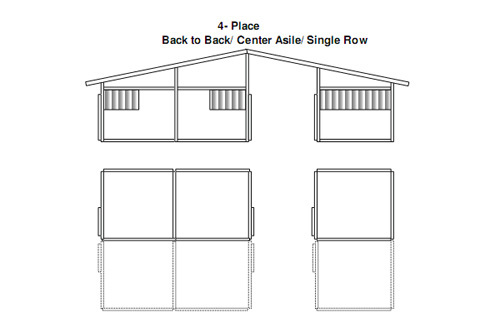 Horse stalls and horse barns: Custom Horse Stalls and Horse Barn Building Views. 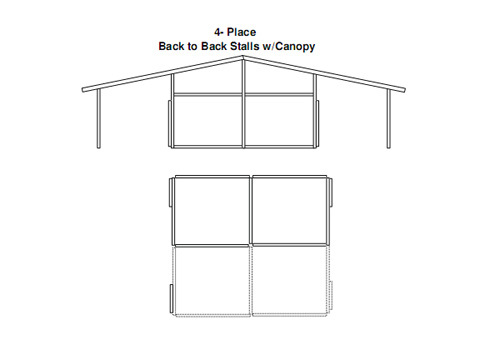 Triton modular horse stalls. 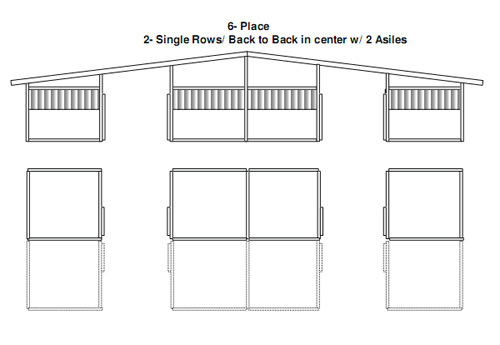 Triton custom horse stalls and buildings are completely modular and easy to erect. 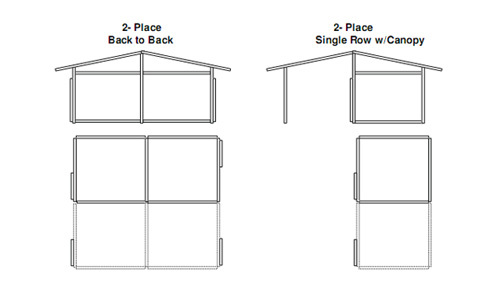 The panels can be arranged in any manner to create the horse barn that you want. 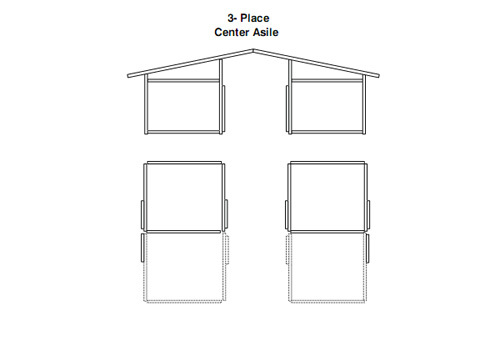 Door panels can be located on the ends of the buildings, down the front in a Lean-to (Single Row), down the aisles and on the rear for outside access or setting up paddock areas. These are but a few of the possible set-ups. If you prefer another set-up, just ask your sales person and they will be glad to assist you in creating the design that you wish. 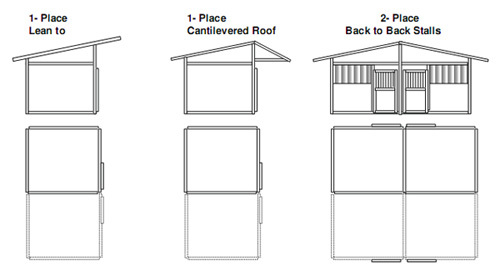 You can add Tack Rooms, Feed Rooms and even wash bays.